Today we have enabled a new feature in the Feedback Hub. 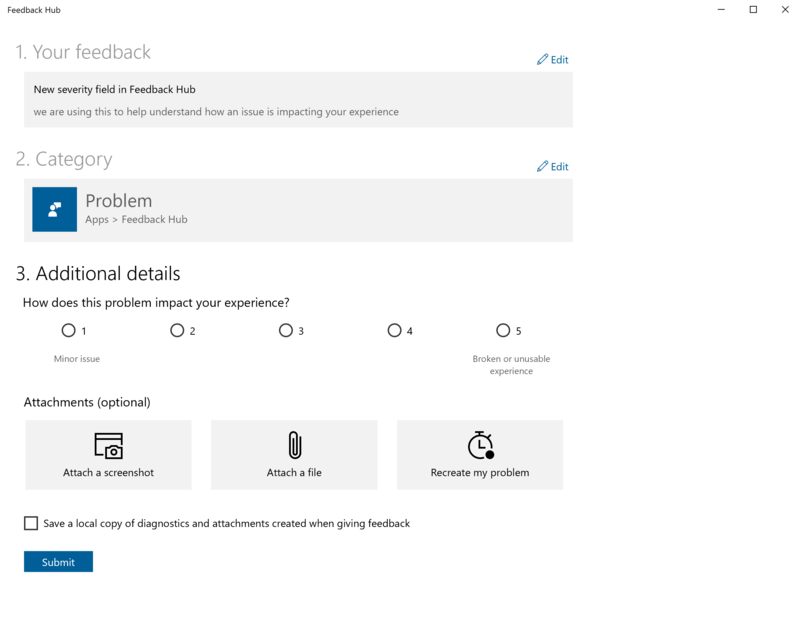 You can now provide an indication of the severity of your issue and how it is impacting your experience when filing new feedback. We believe this will allow us to better monitor the most impactful issues even when feedback volume is low. To get this to customers as quickly as possible, we have enabled this feature in English only (en-US). The team is working to bring it to more languages soon.